As promised, Outlier and Prolly is not Probably teamed up to give away a pair of Outlier Summer Shorts via a Father’s Day photo contest. If you recall, the rules were simple. Sign into Twitter and post a picture of your dad before fathers day. Tag the picture with #OPFD and wait. We sifted through all the pictures recently and there were some choice submissions! But only one winner. 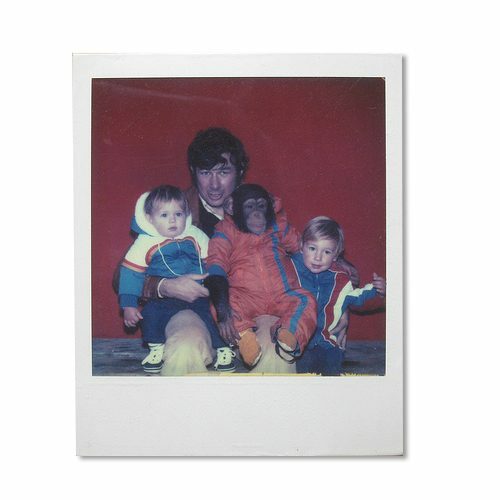 After careful review of all the photos that were uploaded, we chose @reportemergency’s picture of his dad holding a chimp and his boys taken on a Polaroid.